A stunning collectible from the Willow Tree. An ideal gift for any occasion. 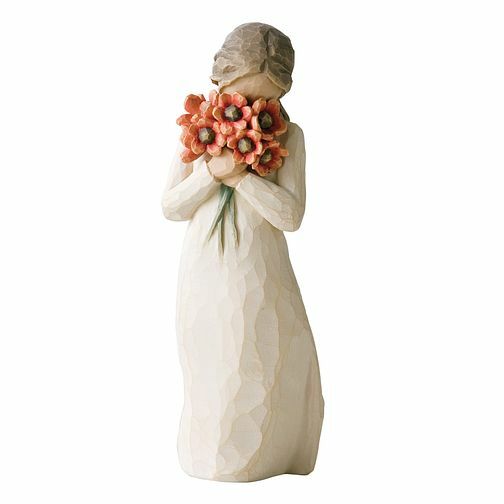 Willow Tree Surrounded by Love Figurine is rated 5.0 out of 5 by 4. Rated 5 out of 5 by Anonymous from Beautiful A beautiful ornament, made the perfect gift. Smaller than I imagined but overall very happy with it. Good value for money! Rated 5 out of 5 by Anonymous from This product has great features and is exactly how it was advertised. The packaging for this product was even nicer than I had expected and delivery was quick which was good as this product was a gift.